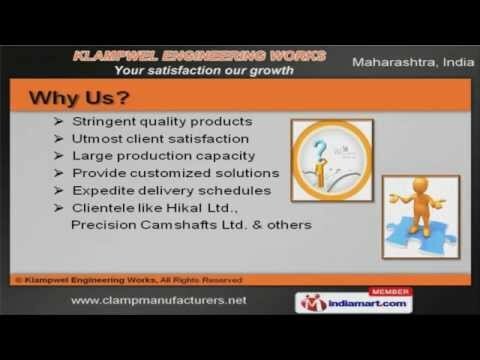 Welcome to Klampwel Engineering Works. Manufacturer & Supplier of Hose Clamps. The company was incepted in 2005, at Mumbai. Our State-of-the-art infrastructure & Ethical business practices help us to Cater Indian Subcontinent. Utmost client satisfaction & large production capacity help us to serve Clientele like Hikal Limited & Precision Camshafts Limited. Our team comprise of Engineers, Technicians & Packaging Experts. We are engaged in offering a wide range of Worm Drive, Fix Nut Bolt Hose Clamps & Clips. We are one of the pioneered manufacturers and suppliers of Worm Drive Hose Clamps & Clips. Our Tee-Bolt Hose Clamps & Clips are class apart. We are specialized in offering Fix Nut Bolt Hose Clamps & Clips. Along with that Heavy Duty Hose Clamps & Clips are widely demanded by the clients.